The pursuit of glowing sun-kissed skin can be seen in societies all over the world. Whenever summer approaches, people will be scrambling to be bathing suit ready. After a winter away from the sun, many of us are as pale as the day we were born. If you are one of the many seeking a deep natural-looking quick tan, then indoor tanning lotions are perfect for you. 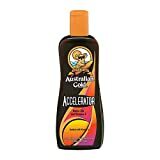 Indoor Tanning Lotion: It is important to note the difference between “indoor tanning lotion” and “sunless tanning lotion” as this buying guide is for indoor tanners. Indoor tanning lotion expedites and deepens the results of using indoor tanning beds. These products are applied before using a UV tanning bed. If you are someone who likes to use tanning beds, this is an ideal product to help you make the most of your sessions. 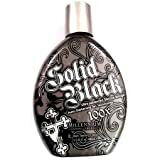 Sunless Tanning Lotion: Sunless Tanning Lotion is a tinted lotion that gradually creates a bronzed look over time. For those of you who are wary of tanning in the sun or in beds, this product is just right for you. It allows you to have a sun kissed glow all year round without a tanning bed. However, be careful to apply your sunless tanning lotion carefully to make sure you avoid uneven results and an orange tint. Heating/Tingling: Some indoor tanning lotions produce a tingling or heating sensation as they work. Many people like the simulated feeling of being under the sun’s warm rays and feeling their product at work. For those of you who enjoy this, there are a number of top of the line products available with this effect. Fast results: The best-rated indoor tanning lotions thrilled customers by the speedy results they experienced. Most customers saw significant results after three uses while many found that even one use produced noticeable results. Indoor tanning is typically used to produce more dramatic and expedited results than laying out in the sun. Even color: Customers were most happy with indoor tanning lotions that applies on smoothly and cleanly. Lotions that did not leave streaks, patches, or uneven color impressed customers. In addition, top rated lotions were said to give a natural look without any of the dreaded “orange” tinge that so many self-tanners fall victim to. Smooth skin: Reviewers loved lotions that left their skin feeling soft, smooth, and moisturized. Many noted that their tanning lotion left their skin feeling softer and smoother than ever before, producing results superior to any regular lotion. This was considered an extra benefit of using the top-rated indoor tanning lotions. Scent: Customers who left the most positive reviews spoke volumes about scent. Many of them said that they used to shy away from indoor tanner due to the pervasive and easily identifiable scent of self-tanner. Not only is the scent of self-tanner unpleasant, but it screams to the world that your tan is not natural. The top-rated tanning lotions either had very light scents or very pleasant, lotion-like fragrances. Scent: Most indoor tanners have a notable fragrance. If you are sensitive to smells or wish to avoid a distinct scent, pay attention to the scent advertised for each product. Although some scent is unavoidable with indoor tanners, most do not carry the famed “self-tanner” scent and many produce only extremely light fragrances. If you prefer a scent there are a range available across different products, from vanilla sugar to tropical fruit. Glitter/Shimmer: Depending on when you plan to go tanning and your own personal style, you may or may not wish to purchase a lotion that glitters or shimmers in the sun. Indoor tanning lotions are available in both varieties but be sure to check what you are buying before you purchase it. Shade: Consider your natural skin tone and the look you wish to achieve when choosing which indoor tanning lotion is right for you. If you are naturally fair and want to achieve a natural looking bronze, it may be best to avoid products that boast dramatic effects. If you have a darker skin tone or want the deep glow that makes you look like you've just returned from a tropical vacation, a product promising more pronounced results will be perfect for you. Speed: If you are purchasing your indoor tanning lotion for an upcoming event and are strapped for time, look for a self-tanner built to work quickly. Look at reviews that note the number of sessions it takes to achieve satisfactory results. Ingredients: If you have sensitive skin be sure to check out the ingredients list before purchasing your product. You want to be sure that your tanning sessions result in the beautiful, bronze glow you are looking for and not a rash or peeling. If you are unsure of any ingredients, contact the company and they will be more than happy to assist you in choosing the best product for your skin. Price: There is a wide range of prices on indoor tanners ranging anywhere from $10-$100. 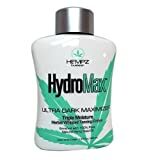 Tanning salons often charge a higher rate than elsewhere and Amazon is an excellent place to find high-quality lotions at a price that won't hurt your wallet. JWOWW: JWOWW, or Jenni, from the Jersey Shore reality show created her own line of tanning products. She is well-known for her deeply bronzed skin and has decided to share her secrets with the world. Designer Skin: Designer Skin specializes in skin products with the finest ingredients and luxurious fragrances. The have developed Silicone Emulsions, advanced bronzing systems that produce natural results and improve skin quality. Their products are handmade and strive to be the most unique and effective on the market. Millennium Tanning Products: Millennium Tanning Products manufactures a wide range of indoor tanners, tanning prep, and tanning aftercare. They have recently entered the sunless tanner market as well. Sun Evolutions: Sun Evolutions has been producing Supre Tan for over 28 years. They are dedicated to creating and distributing the highest performance tanning products on the market. They use top-rate sun and skincare ingredients and use creative and innovating packing that caters to both performance needs and personal style.